Now that graduation celebrations and all the chaos of school life is over, I kind of miss the Ateneo days. It's different being in a working environment from day-to-day, you tend to reminisce and look back on some of the memorable events in your life. Ateneo, and its entire community was a great support for me growing up as an artist in college. Throughout my stay in the Ateneo, I've only ever joined two organizations because of personal reasons. I loved the Heights org, for being so supportive of the arts and artists in the school community, and at the same time, all of them were really very accommodating people. My friend Walt Hontiveros was the editor in chief this year, and he did an awesome job of heading the issues with his experience. The other organization I joined, was Celadon; the Chinese-Filipino community filled with a lot of Xaverians and Icans among others. 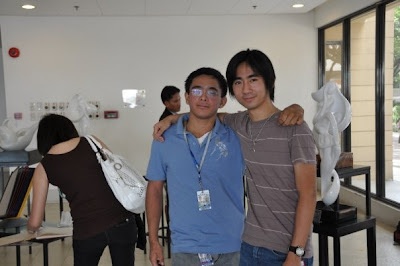 My friend Matthew Cua, who oversees many projects in the Ateneo Innovation Center, was also a big part of my experience with Celadon and some of its events and parties. The org also sponsored an exhibit of the Celadonean artists and my piece "Arisia" was among the showcase. Being a part of the Humanities department also gave me much support as an artist. 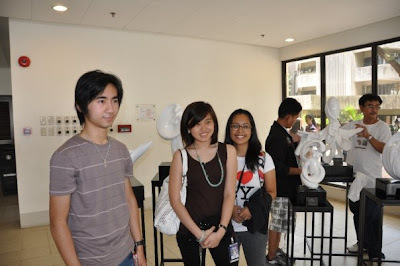 Dr. Beni Santos, the dean of Fine Arts arranged the opportunities for me to give talks on sculpture to the Ateneo Community at the new art gallery just last year. Dr. Vilches, the dean of Humanities, also gave me many opportunities to grow, such as arranging the Solo Sculpture exhibition with my works as the only one of its kind during the Humanities festival. I remember also that these were the stepping stones that led to a lot of appreciation for my work, and that made me very happy. It made me feel better about my efforts and eventually further my techniques and developments in the field of sculpture. Both of the deans I mentioned also helped me towards the LSAA (Loyola Schools Awards for the Arts), a shining moment for me and several of my graduating friends. My blockmate Smile Indias was the reason I was actually able to attend the LSAA as well, because she introduced me to it a day or two before the applications. 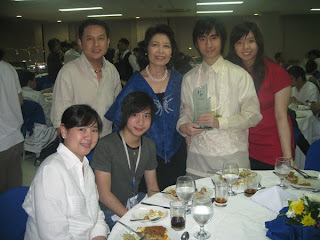 I was very fortunate to be a part of the celebration and receive the award along with other artists of the Ateneo. I'm glad that the school started to recognize sculpture as a budding artform as well. 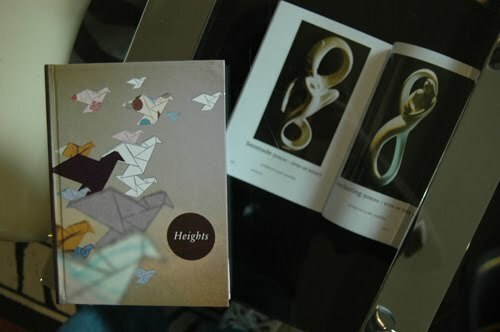 It was a big honor for me to receive the very first LSAA mention for sculpture in the history of the university. I cherish that moment with the best of my memories. 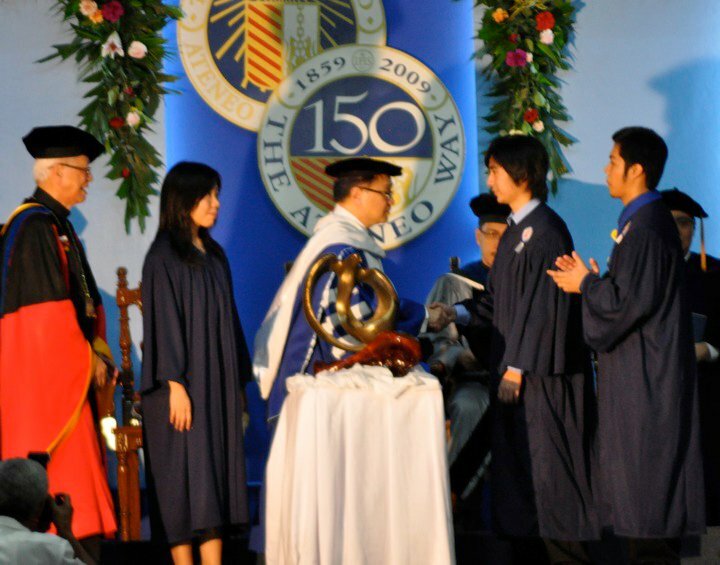 Up until graduation, the Ateneo has provided me with support and friendship. Even in the ceremonies themselves, I was able to show my work or appreciation by creating a sculpture entitled "Soaring Eagle" for the commencement speaker Mr. Manuel V Pangilinan. It was a proud moment for me as well. It's not everyday that your school asks you to create a piece to symbolize the entire community's appreciation. It was indeed a spectacular moment for me and for a lot of people. I will always remember and cherish the stories and friends I've made at this place of wonders and discoveries. Aww thanks hun :-) and I'm very glad you were there to support me. Thanks for visiting! :) I really appreciate it! Have a great day today.